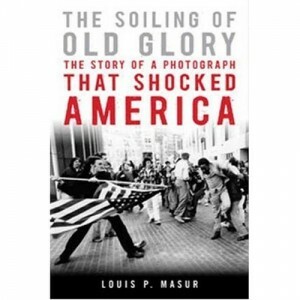 At Collectors’ Quest I just reviewed Louis P. Masur’s The Soiling of Old Glory: The Story of a Photograph That Shocked America — a book I can’t recommend highly enough. While the book is based on a very famous photograph, the Pulitzer Prize–winning photograph by Stanley Forman, taken on April 5, 1976 at a Boston rally against forced school busing, I’d never heard of or seen the photo before. 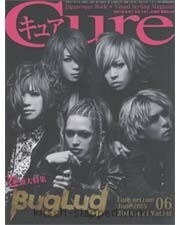 But once I found Masur’s book, my ignorance left. And not just my ignorance regarding this (and other) incidents of relatively recent racism in this country (and in “the liberal north” yet! ), but about photography, art, symbolism… And this country’s flag. What strikes me so odd — not that it should, I suppose — is that folks were so upset by the commercialization of the U.S. flag. What on earth would they think of today’s patriotism? Of our current state of ridicule of anyone not wearing or displaying, on person or product, an American flag? That sound you hear is the thud of fainting conservatives from the late nineteenth and early twentieth centuries. Or maybe it is the screams of horror from the same. Once I wrapped my mind around such societal flip-flop, I then was left to revisit my own memories of the flag. A flag I’d seen on so many things… And that was before 9/11. Heck, walk down any major isle at oh-holy-Wal*Mart this week, and try not to find something with the U.S. flag printed on it — tank tops with the flag & little white puppies, disposable plates with flags on them, socks with flags & fireworks, seat cushions… Endless. 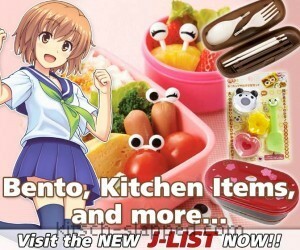 And all made to be profited from. Was the Bicentennial responsible for this? This was as I recalled from my television set. The protest film footage, the body paint on Goldie Hawn & Judy Carne on Laugh-In (and if the girls hadn’t actually worn flags painted on their bodies, well, I said it was as I recalled it…) It may not all have been as commercial as the Bicentennial kitsch was; but it was there, making it’s own statement, whether you dug it or not. I don’t for a moment consider the use of the flag as a weapon to be anything other than criminal; that’s not my intent in any way. While the photo and exploration of the cult of flag connect in Masur’s book (they have to; the flag as symbol must be discussed), that’s not his point either. But what you have to see is a time, not long ago, when many felt the flag, like the country, didn’t represent them any more. The flag here in America is for the white man. The blue is for justice; the fifty white stars you see in the blue are for the fifty white states; and the white you see in it is the White House. It represents white folks. The red in it is the white man’s blood — he doesn’t even respect your blood, that’s why he will lynch you, hang you, barbecue you, and fry you. There are many times I feel that way. Not just in theory. Not just as continuing amateur historian. But as a woman living her life here as a second class citizen. Without equal pay. Without the same recourse & credibility when she stands to seek justice. Without recognized rights to her own body. And with far greater (& societal accepted) risk of violence & sexual assault. Why isn’t my gender’s blood part of the red on the flag? I feel a reclamation-of-the-flag art project coming on. Does Mattel Sock It To Us With Goldie Hawn Barbie?